Here's an annal of the books I've been reading. Have a hover over the covers if you'd like to see what I thought. I'll write a short summary as well as a 'yes,' 'no' or 'if' depending on whether I'd recommend you reading them too. N.T. Wright (‘the heir to C.S. Lewis’) here contemplates Jesus’ crucifixion with the view that our modern-day understanding of this event may be diluted and reduced. I found this book thought-provoking, profound and challenging. I suspect I will read it again. This historical non-fiction was truly a joy to read. I often find myself embarrassed by how little I know of history, within which Europe in the 20th century would be included. Thanks to Geert Mak, I journeyed through the various peaks and troughs of Europe over the last 100 years, embellished with factual fringes and anecdotal detail. This is one of the longest books I’ve read but I would heartily recommend it. Milk and Honey is a collection of poetry and prose documenting themes of love, loss, femininity, violence and abuse. Rupi Kaur illustrated and self-published this collection whilst she was still in University, where it went on to become a New York Times bestseller and translated in 35 languages. Her unique style is to omit punctuation and capital letters, as is reminiscent of her mother tongue (gurmukhi, Punjabi script). I appreciate the strength and simplicity of Kaur’s poems. 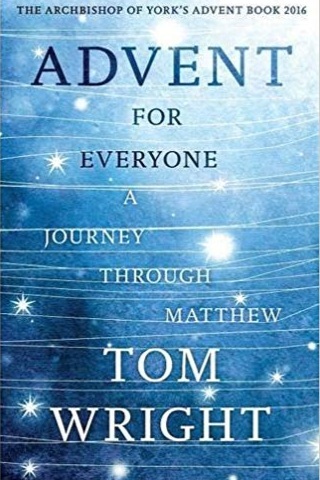 Tom Wright, a British theologian, journeys through the Gospel of Matthew exploring the themes of watching, repenting, healing and loving. This daily devotional steers you through the advent season with four weeks of passages and supplementary thoughts to read through. The characters, emotions and depths of this novel are both familiar and gripping. Through the mind of a mother and daughter, the reader is welcomed into a family with complicated dynamics who find themselves reunited by sudden illness. I found this to be a page-turner that evoked effortless interest and connection with the family’s wellbeing. This influential Christian non-fiction has been a revered contribution to 20th century Christian thought. Believers and non-believers alike are welcomed into this powerful apologetic for the Christian faith. I enjoy the thoughts and writings of C.S. Lewis and particularly connected with his many analogies and figures of speech supplementing the various concepts he sought to explain in this book. This fantasy children’s classic was a childhood favourite of J.K. Rowling. It’s a story about a young heroine determined to right the mysterious wrongs subtly at play in her beloved Moonacre Manor and its town. Beatrix Potter is fondly remembered for her contribution of children’s books such as The Tale of Peter Rabbit or The Tale of Benjamin Bunny. Most do not know that this was a fragment of her career. She was too a passionate, unconventional businesswoman, a pioneering scientific researcher, and a powerful landowner who conserved acres of Lakeland countryside. Recommend? Not this precise biography, though I do recommend learning more about Beatrix Potter’s story and achievements. This brilliantly witty book of cartoons reveals some of our greatest thinkers' baffling theories about women. We learn that Charles Darwin, long celebrated for his open, objective scientific mind, believed that women would never achieve anything important, because of their smaller brains. This book explores the way that gender relationships changed under Christendom and then after Christendom, challenging us to rethink gender relations in both church and society. Recommend? If you're Christian and interested in better understanding how women have been viewed throughout the years. This fictitious classic captures the tragedy of America's Great Depression through the story of one family, the Joads. With themes of injustice, powerlessness and poverty comes a supplementing picture of strength, dignity and humanity. I heartily enjoyed this short fictitious classic. Two drifters in search of work settle on a ranch in California’s Salinas Valley. George and his simple-minded friend Lennie have a dream to one day own land together. But will their hopes be doomed by Lennie who can at times fall victim to his own strength? N.T. Wright is a British theologian and the former Bishop of Durham, treasured for his scholarly contribution today. He has written three Lenten devotionals to guide through daily thoughts on Gospel scriptures (themed by Matthew, Mark and Luke). Within Lent I often feel convicted as a Christian for neglecting the discipline of anticipation (a huge part of the Christian calendar) and found this book to be a great provocation to remember and celebrate Easter well. This memoir tells the story of Malala, a young Pakistani girl shot by the Taliban for standing up for girl's education. Actually, that's the ending of the biography. Rather, much of the story is dedicated to describing the rise of the Taliban in Pakistan and the cultural and religious restrictions placed on Muslim women. Malala's father was himself a school owner and he championed and encouraged his daughter to write and attend school, contrasting their society which prized sons over daughters. All people today should know Malala's story and allow it to influence our corporate understanding of lack of access to education for girls, as well as the refugee crisis. This historical fictitious classic was inspired by Hemingway's personal travels to Spain as a journalist covering the civil war. His novel, published three years later, follows the story of Robert Jordan, a young American in the International Brigades attached to an antifascist guerilla unit in the mountains of Spain. Ruth Valerio is an environmentalist and theologian and those twin passions create a message well worth hearing. Every Christian in every generation throughout the history of the Church has had to work out what it means to be a follower of Jesus in their particular culture. For us in the twenty-first century, we must think about discipleship in a globalised, consumerist context. I enjoyed this book, finding it to echo challenges and warnings that were familiar to me, as well as to build on my own understanding of sustainable living too. This short religious/political non-fiction packs a punch. Cavanaugh offers a critique of modern Western civilisation, including contemporary concerns of consumerism, capitalism, globalisation, and poverty, from the perspective of a believing Catholic. The book is divided into three essays, all ending on the theme of the Eucharist. This humorous memoir made a lighthearted start to my 2018 reading. Kaling (co-writer of The Office US and star of The Mindy Project) describes how she became a comedy writer in LA and New York, as well as scattily giving life advice. I'm a fan of her work and her work-ethic and intend to read her other book, Why Not Me?. I wholeheartedly recommend this theological non-fiction. Bailey is an American professor who lived in the Middle East for 40 years. In this book he topically covers Gospel stories whilst adding his own commentary based on Middle Eastern culture as well as knowledge of ancient languages. I found that familiar narratives and parables came alive in a new way as Bailey challenged Western interpretations compared to the local cultures and traditions. I particularly enjoyed the chapters exploring how Jesus related to women. To quote Groothuis, a 'myopic fixation on a handful of controversial biblical texts will not ultimately resolve the gender debate'. This Christian non-fiction seeks to overview the various Biblical passages which are used by traditionalists to explain men's authority over women and why women (in certain contexts) cannot teach within the Church. I read this book with a pencil in hand and intend on re-reading it whilst taking notes, and eventually studying it alongside Scripture. I would recommend it as both an introduction and overview to the Christian gender role debate. This 19th century horror fiction has well earned its title of being a classic. It tells the story of an ambitious doctor who experiments with imparting life into lifeless body parts, eventually creating a human. The rest of the tale leaves you to determine who the true monster is: the rejected and savage creation or the heartless creator? The character development in this short story is beautiful and chilling. An explanation of the Old Testament intended to aid Christians who find themselves lost when it comes to the Biblical history before Jesus and the gospels. Because the Bible was written over 2000 years ago by more than 40 authors via three languages in several different countries, we readers are naturally faced with linguistic, historical, cultural and geographical barriers to our understanding. Richter organises the Old Testament by explaining key concepts, characters, covenants and places. I would thoroughly recommend this book to both learned and lost Christians as a valuable supplement to our understanding of the Bible. An allegory aimed at Christians describing leadership through references to three Biblical kings: Saul, David and Absalom. Edwards writes words that would comfort Christians that have faced pain and loss at the hand of other believers. This is the third time I've read this short book - this time in preparation for teaching 1 & 2 Samuel. Written for teachers (specifically teachers of the Bible), this educational non-fiction outlines techniques and principles for the classroom. The teacher's job is defined as ensuring that their students learn, not simply to cover the material they prepared. I found the laws helpful and convicting and though I found the book longwinded, its content are no doubt valuable nonetheless. A short Christian non-fiction challenging our assumption that the free market is the only means of progressing. This book is for innocents, rebels, idealists and the sick at heart, outlining a journey to construct a future outside the system's solutions. There is an alternative set of beliefs that have the capacity to evoke a culture where poverty, violence and shrinking well-being aren't inevitable but rather where the social order produces enough for all. The authors call this 'neighbourliness' and I enjoyed their recommendation of slowing life down. The title's question made me laugh dryly as it sounds so obvious, though in reading I realised that actually this is a very important question for all to consider. Are women human (in their own right), or are they a subspecies of man? Sayers was one of the first women to graduate from Oxford and maintained that she was first of all a human being and aimed to be true not so much to her gender as to her humanity. This book challenges you to begin and reinvent yourself in spite of your age or missed opportunities or lack of resources. Start something! I know Mathu from a few years back when he and his wife supported a team I was on. His wisdom was critical for us and his analogies brought clarification to things which felt dauntingly big. I was encouraged to see those same strengths peppered throughout this book too. Tolkien wrote this story for his children and it is truly a masterpiece, eventually leading him on to writing the Lord of the Rings trilogy. This short novel tells the story of Bilbo Baggins, a Hobbit unprone to adventure, who joins a wizard and some dwarfs on a journey to slay a dragon. This was the first Tolkien piece I've read (to my own shame) and will certainly be the first of many. 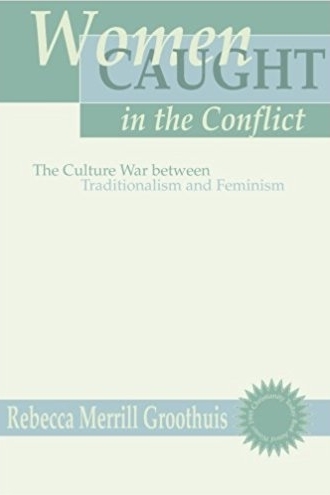 Written to those 'caught in the conflict' between traditionalist and feminist views of women, Groothuis seeks to shed light on each belief system by placing it into its historical and cultural context. In doing so she evaluates different beliefs and discusses the role of women in Church and society today. I found this a great introduction to better understanding feminism, its history and its various facets. From the author of Treasure Island and Dr Jekyll comes this classic. It tells the story of David Balfour, a young orphan who gets kidnapped and journeys through Scotland's dangerous highlands in an escape and attempt to regain his rightful inheritance. The novel is written in phonetic Scottish, and though I enjoy how Stevenson writes, I'd recommend other books by him before this one. John Sutherland, a classic literature critic, confronts speculations about the Brontë family in a concise, quick-paced manner. Specifically, he goes through letters of the alphabet to address popular questions like, 'Was Heathcliff a murderer?' and 'What influence did opium have on Branwell and Charlotte?'. I found this to be a very fun means of receiving a biography on this famous yet mysterious family. See New York city through twelve sets of eyes as psychologist Horowitz joins professionals to walks its blocks. Her quest is to better understand inattention and I enjoyed the points she raised. Some of my favourite chapters were when she walked with a typographer, a physician and a blind lady. The pace of this book is gentle and at times ambling, but I enjoyed the writing style so that was fine by me. A short children's fantasy/fiction classic by the beloved George MacDonald, the inspirer of greats like C.S. Lewis, J.J.R. Tolkien and G.K. Chesterton. In this story a witch named Watho raises two children: a boy who never saw the sunset and a girl who was never awake when it was light. The first of many stories I hope to read by George MacDonald. The Golden Key is one of his short fairytales; a children's fantasy/fiction classic. A boy and girl wander together to find the keyhole of the rainbow's golden key. I read this because it is Austen's shortest novel and though my motives were unambitious, I enjoyed this book. It's known as a gothic parody where the heroine, Catherine Morland, is invited to Northanger Abbey where she explores mysterious details and an eerie family secret. All is told in a simple and relatively lighthearted manner with a love interest running throughout. A Christian fictitious allegory about Much-Afraid's journey to the high places with the help of the Shepherd. She travails through the valley of humiliation and such places with the discouragement of enemies named Craven Fear, Bitterness and Pride. This short story makes for a very quick read and I think it would be best enjoyed by a younger audience. An autobiographical non-fiction journalling a mountaineer's quest to build a school for the village that hosted him after his failed attempt climbing K2. Despite obstacles, Mortenson went on to build many schools in Pakistan, aimed particularly at offering education for girls. I love the overall story of one individual working hard to change lives, but I hated the story telling of this book. I thought the book was too long and too descriptive. This fictitious classic was secretly printed and illegally distributed across occupied Europe in the Second World War, accepted as resistance propaganda. The short novel speaks of an unnamed town (thought to be in Norway) that is claimed by a nation at war with England and Russia (thought to be Germany). I'd never read a book by Steinbeck before and I thoroughly enjoyed this one. It was short, clever and effective. 'More girls have been killed in the last fifty years, precisely because they are girls, than men were killed in all the wars of the twentieth century combined.' This social justice non-fiction was written by two award winning journalists. They tell of the oppression of women and girls in the developing world by sharing stories from Asia and Africa. The book is packed with statistics and lessons on good (and bad) steps of action against gender injustice. You simply have to read it. This 17th Century fiction is a famous allegory of a Christian's spiritual journey. The main character progresses through life, carrying a burden upon his shoulders, searching for salvation. Along the way he meets others, such as Worldly Wiseman, Giant Despair, Faithful, Talkative and Ignorant. I adored this short story and found the explanations of grace particularly helpful. I'll read it again some day. A biographical novel telling the story of the Brontë siblings of the 19th Century. They were forced by their family's poverty to emerge from their privacy and creative fancies in order to earn a living. For the sisters, these experiences set them free to write their celebrated novels; for the brother, it meant ruin. I adore the Brontë novels and found that this book satisfied my desire to learn more about the authors. This historical feminist non-fiction had me at the title. With ancient records biased towards political and military history, this book sought to focus on the lesser referred to women of the Greek and Roman Empire. Pomeroy asks, 'When pagan goddesses were, in their way, as powerful as gods, why was the status of human females so low?'. I read this book as a deal with my dad so that he'd read Jane Eyre - it was a good trade. Based on Travels With Charley by John Steinbeck, Mak retraces his roadtrip fifty years down the line. He sought to learn how America has evolved since Steinbeck's trip and asks what remains of the the American dream. I found this historical book to be both interesting and informative (a combination that's pretty hard to nail). A fictitious classic about Lucy Snowe, an English woman who teaches at a French school in Villette. I enjoyed the various characters in the story and reading about Lucy succeed despite being a wallflower. Kondō explains to KonMari Method, her own developed technique of decluttering and organising your home. One of her main principles is to only keep possessions which spark joy in you. An allegory aimed at Christians describing leadership through references to three Biblical kings: Saul, David and Absalom. Edwards writes words that would comfort Christians that have faced pain and loss at the hand of other believers. In seven books Lewis tells stories of children entering a fictitious world (Narnia being a region) where they have adventures and often save the day. For Christians these books serve too as fascinating allegories of the kingdom of God. Harper Lee is most famous for her award winning modern-day classic To Kill A Mockingbird. I'd say that this book serves as a great companion to that rather as a stand alone book. Jean Louise Finch, now aged 26, experiences the painful transition out of her past illusions and into the real world, guided by her conscience. One of Anne Bronte's two fictitious classics, this story tells of a man who becomes intrigued by a beautiful and secretive widow who has moved into the nearby hall. Partway through the book you read the journal of this widow and I thoroughly enjoyed the shared narration within the novel. If you start reading this book, I think you'll want to finish it. A famous fictitious classic that is rather bitesize for a Dickens. Scrooge, a commonly referred to character, is a miserable and bitter man who is shown the true meaning of Christmas by various ghostly visitors that speak to him of his past, his present and his future. I read this book just before Christmas and thoroughly enjoyed it. Emily Brontë's only novel, Wuthering Heights is a dark, gothic classic. It tells of an intense and almost demonic love story between two characters, one of whom is bent on avenging the wrongs inflicted on him during childhood. Although this book is some people's favourite, it wasn't for me at all. Overall I found it uncomfortable and dissuading to read about such dark characters. The Professor was Charlotte Brontë's first written novel though it was refused by publishers until after the success of Jane Eyre. This short classic is thought to be based on Charlotte's own adoration of her former professor. In reality this love was unreciprocated and here she writes and dreams of a story where the love is mutual. I thoroughly enjoyed this book and plan to read it again. My all time favourite book by my all time favourite author. Jane Eyre is an orphan unsheltered from cruelty who grows into a heroine full of integrity, ambition and yearning. This novel tells Jane's life and comes with a heartbreaking and romantic love story that makes the book one you won't want to put down. An American classic of historical fiction based in 17th Century Boston. The story tells of adultery and an illegitimate birth resulting in the public disgrace of Hester Prynne who is made to wear the letter 'A' on her clothes. There are themes of religion, guilt and the tension between people's public and private selves. A relatively short classic telling tales of Gulliver as he adventures to four different fictitious worlds. On one trip he goes to Lilliput and finds himself to be a giant amidst a colony of people who are six inches tall. A biography of William Wilberforce's life, specifically focused on his efforts towards abolishing the transatlantic slave trade. Many years, many minds and many appeals were invested, with Wilberforce committing his life (from his twenties) to the cause. I enjoyed learning about the culture of the day and why slavery was both known and accepted amongst civilised people. This very short fictitious classic is widely referred to, and for that it's worth a read. Two characters represent the harrowing contrast of good and evil in a bizarre tale of secrets and science. If you haven't read this, and if you don't know the story, I really recommend reading it blindly (like I did). I found it surprising and enjoyable to have no idea what would happen as the plot twists and turns. A self-help nonfiction focused on leadership and productivity. The book describes principles aimed at solving personal and professional problems, championing integrity, fairness, service and dignity. Particularly whilst I was living within a team of four, I found much of the book's advice helpful. A biography of the life of Dietrich Bonhoeffer, a German theologian who was involved in (failed) plans to assassinate Hitler. In a time when Germany was being won over by Hitler's party and their promises to restore their country's greatness from the rubble of the Versailles treaty, Bonhoeffer and his family upheld suspicion. He resisted Nazi pressure on the Church and accepted that the decision would likely shorten his life. A Christian fiction telling of the attempted rescue of a prostitute. Based in California's gold country in the 19th Century, Angel is exposed to poverty, exploitation and abuse. A kind man resolves to marry her and teach her to love, trust and feel safe again. Naturally, these principles spark suspicion and resistance in Angel. I found this book helpful to grasp the severe harm that forced prostitution can have on a person's identity. The Great Gatsby is considered one of the great classics of the 20th Century. It is a story of love, lust, wealth and debauchery. Jay Gatsby is in love with Daisy Buchanan and throws lavish parties on Long Island to attract her attention. I found a few of the main characters of this book to be fundamentally selfish, and ultimately the end is tragic. The seventh and final book in Lewis' Narnia series. We see the fictitious world that Lewis created come to an end with eschatological scenes and themes. In terms of my faith, I found this story to be a beautiful, imaginative and encouraging depiction of end times and the kingdom of God. I'd recommend it as a stand-alone book for Christians. A much loved play by Oscar Wilde that tells of eccentric characters, secret engagements and mistaken identities. I found this short play to be witty, easygoing and enjoyable. Night is a short nonfiction/modern-day classic told by a survivor of the Holocaust. Elie Wiesel won a nobel peace prize and his story of entering concentration camps during the end of the Second World War is harrowing and powerful. He stays with his father (both Jewish) in the camps and endures the decline of his idol and role model, as well as the death of his understanding of God. His story is, and should be, unforgettable. A celebrated classic by Jane Austen. Two sisters both fall in love, though their expressions and experiences are drastically different thanks to their drastically different characters. One represents sense and the other sensibility. Overall I enjoyed this storyline, though I admit that I found the book longwinded in parts that were disinteresting to me. A fantasy/horror fiction by Oscar Wilde. Dorian Gray is a fashionable young man who sells his soul for eternal youth and beauty. His life is one of envy, vanity, riches, lust and excess. I really enjoyed this story, despite the main character's selfish disposition, and found the storytelling gripping and clever. This loved fictitious classic is the most popular pirate story ever to be written in English. It famously tells of a boy finding a map of Treasure Island - all inclusive of pirate's booty. Long John Silver is a captain who begins as a friend and ally to this boy but is soon exposed to be both dangerous and deceiving. I thoroughly enjoyed this imaginative tale and I like how Robert Louis Stevenson writes. A short (but weighty) Christian nonfiction interested in doctrine and accepted theory. Chesterton sought to describe his own conversion in an effort show that one can arrive at accepting God through rational decision and the examine of Christian arguments. I'm ashamed to say that much of this book went over my head as I found it difficult to grasp his references or follow the thread of his point. Austen's most famous fictitious novel bearing her telltale witty comedy of manners. The story, based in 18th Century England, tells of the spirited sparring and courtship of Elizabeth Bennet and Mr. Darcy. Arguably, both characters represent pride as well as pre-judgement against the other. Even if you've seen the film (in fact, especially if you've seen the film) this book is worth a read. A cultural/historical autobiography by Nelson Mandela telling of his life as a lawyer and politician. He was a dedicated freedom fighter in resistance of racial oppression and apartheid in South Africa. He later became President, although his rise to power was often discouraging and degrading as he spent more than two decades in prison. A self help book written by two Christian psychologists who champion clear personal boundaries as being essential to a healthy, balanced lifestyle. Their book explores how we can exercise mental, emotional and spiritual boundaries. Some questions discussed are: Can I set limits and still be a loving person? What if someone is upset by my boundaries? In this (very) short Christian nonfiction Andrew Murray describes the 'distinguishing feature of discipleship': humility. His book is celebrated as the best published thoughts on humility as he implores readers to empty themselves, turn from pride and study the character of Jesus.